you can make a difference for homeless pets! Yavapai Humane Society is dependent upon the generosity of its donors. Through the kindness of friends like you, our lifesaving programs help 3,000 pets and their people throughout Yavapai County each year. 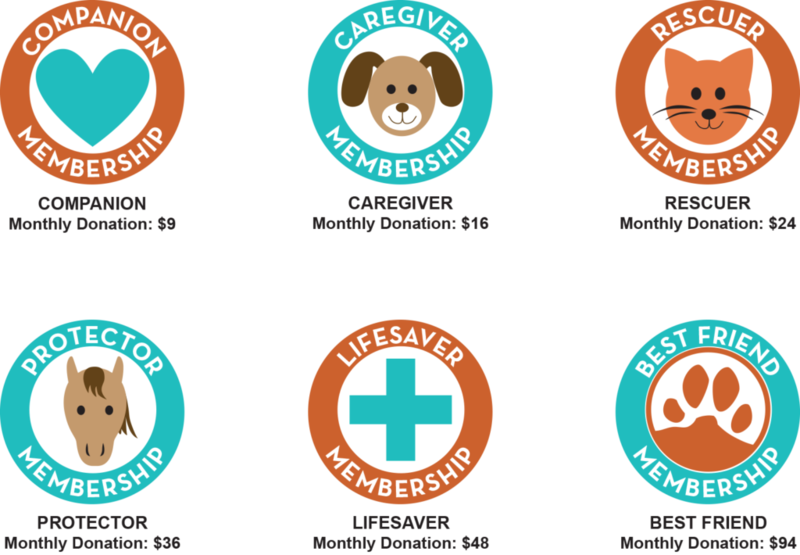 Your monthly membership makes you an important part of our lifesaving team! Plus, when you become a Monthly Member you will get discounts on adoption fees at YHS, a free registration for our Walk for the Animals, 10% off service fees at our YHS Spay/Neuter and Wellness Clinic, 10% off our YHS Thrift Store, 10% pet adoption fees, and 10% off all shelter merchandise.